MINI Cooper Auto Repair Sacramento - Standard Auto Care Inc.
MINI vehicles are compact, efficient, and always make a statement. Though they may be small, they demand attention! Maintaining auto repair and maintenance is necessary for these finicky cars, so make sure you come into Standard Auto Care in Sacramento to have them serviced regularly by our experienced ASE certified auto mechanics. Our auto repair experts are either ASE-Certified technicians or Master technicians. ASE-Certified means they have gone through a series of rigorous training and testing to help them become the skilled technicians they are today. 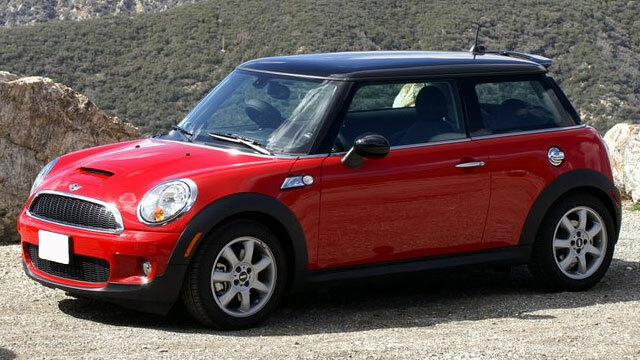 We also offer several services to make your Mini Cooper repair experience easier. To do so, we provide shuttle service and loaner vehicles, and in many cases, free towing! It’s clear that Standard Auto Care is a leading choice for those seeking automotive repair for their MINI. If you are in the market for a family owned and operated auto repair shop, local to Sacramento, then come to Standard Auto Care. You can find us at 2240 Colfax Street, Sacramento, California 95815 or give us a call. Feel free to contact us if you have any questions or to schedule an appointment for Mini Cooper maintenance or repair services.